Obesity is the reason for many diseases and bad eating habits also lead to weight gain. Peaches are good sources of fiber and promote satiety which helps you feel fuller for a longer time, thus preventing overeating. It also curb high cholesterol, blood pressure and blood sugar. Healthy glowing skin is the result of healthy eating and this fruit treats both internal and external skin issues. The high amount of Vitamin C present in peaches protects the skin from sun and pollution. It is also an excellent antioxidant that can reduce wrinkles and improve skin texture. Cancer is the most chronic disease for mankind and prevention is the key in this case. It is important for you to consume the fruits that fight the effects of free radicals. Peaches are rich in phenol, flavonoids, and carotenoids. One study says that the polyphenols found in peaches can stop the multiplication of breast cancer cells.
. Digestion is the main function that our body performs so that we can fight diseases and peaches contain a high amount of dietary fiber that helps in improving digestion. It also protects the gut from health complications such as diarrhea, ulcers and gastric issues. We all need strong immunity to fight against diseases and infections and zinc and ascorbic acid in peaches help the body maintain strong and healthy immunity. As per reports, peaches act as a great stress reliever and also help in reducing anxiety. 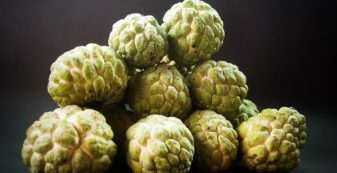 It is even called “fruit of calmness” in some countries.